Holds 3 litres. 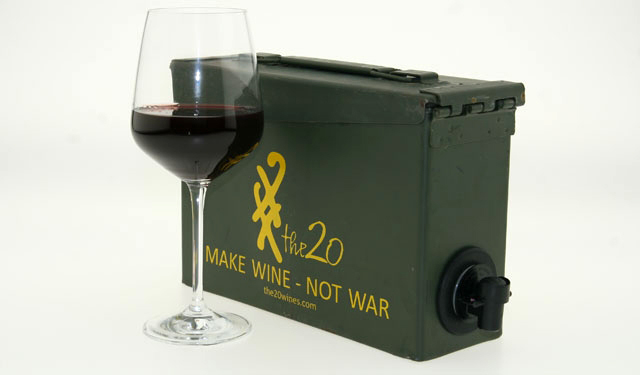 You can buy it with or without wine in it from The20Wines. The box itself is $40, and with some wine it’s $100. 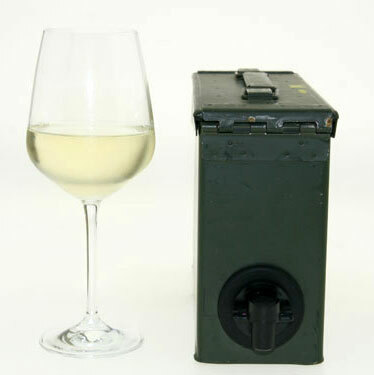 It would have been more interesting if they would have made the wine inside the actual ammo can to soak up it’s flavors haha. *swirl swirl .. sniff* An aggressive gun oil boquet, with a strong gunpowder palate. Even at $40 for the box it seems pricey… If I didn’t manly drink champagne and beer i’d probably head down to Fleet Farm and pick up a couple .50 caliber ammo cans for ~$12 and make a DIY project out of it.